1980. An unstable hostile city named London. An unstable hostile planet named Earth where fat right forefingers hovered over big red buttons which, if pressed, would have started that final countdown.Cue the song, the big hair, the 80s. Dressed to the 9s, made-up like a wedding cake, fat right forefinger poised over a “c” on a cheap synthesiser . 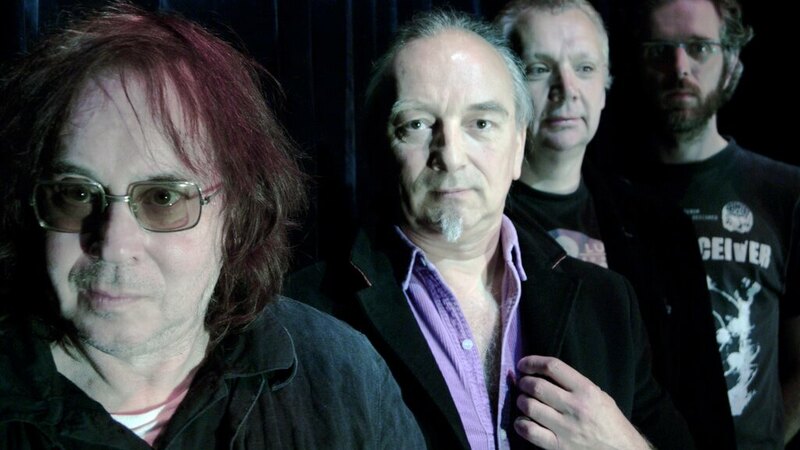 Could there be a better climate for a band like The Legendary Pink Dots to spring into life? Everything was home-made. A string of cassettes with covers created on the kitchen table. Sessions by candlelight, sometimes for hours.Neighbours banged on the walls.They had issues about those loud songs referring to that inevitable final countdown while they were watching the news. The first photo sessions were in local graveyards. Frequently The Dots would bump into other bands. It rained a lot. We looked to the sky…….it was perpetually ominous. Roll on 33 years and, gasp, we’re STILL HERE! Saints Alive (and a few died in the meantime),The Pink Dots are up to around 50 or 60 albums by now but information as to the exact number is sketchy. It’s still raining, but thankfully the passion has not been dampened. “The Gethsemane Option” has been a year in the making.The finger over the “c” has strayed and the helpless listener is now pelted with intricate melodies, runaway rhythms, Thelonius chords. The lyrics are still as obscure as ever and it’s whispered that the new album revolves around a central concept, but singer and wordsmith Edward Ka-Spel is saying nothing about that. Concept albums were already passe in the 80s.It’s 2013. The World has changed. No big red buttons….just passwords for passwords for passwords and nobody will find a way through that complicated labyrinth, will they?